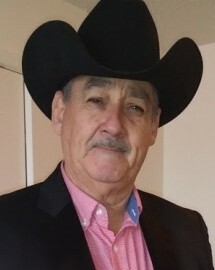 Guadalupe Miranda, 59, of San Juan Bautista, Chihuahua, Mexico, passed away on January 12, 2018 in Amarillo, Texas. Guadalupe Miranda was born on June 10, 1959. In the town of San Juan Bautista, Satevo, Chihuahua, Mexico to Trinidad Granados and Alberto Miranda. After leaving Mexico at the age of 18 he moved to Perryton, TX. There he raised his family and lived for over 32 years. Guadalupe married Estela Lopez in 1983 and they spent the next 36 wonderful years together. Together they journeyed through life raising 3 children; Sandra, Daniel and Gabriel. He always emphasized the importance of family and hard work to his three children. Guadalupe would tell everyone how proud he was of his children to all that would listen. He later moved him and his wife to Amarillo two months ago, so he could be closer to his children and grandchildren. His last few days were filled with family, laughter, and most importantly love. He will be dearly missed by all those who knew him. Guadalupe is survived by his wife, Estela Miranda; mother, Trinidad Granados of Chihuahua, Mexico; brothers, Alberto Miranda of Perryton; and Humberto Lopez of Mexico; sisters, Reyes Chavez, Beni Lopez, Elena Saenz, Ramona Jimenez, Salome Lopez, all of Chihuahua, Mexico; his three children, daughter, Sandra Garcia and husband Juan Garcia of Amarillo, son Daniel Miranda and wife Angela Hinojosa, son Gabriel Miranda of Amarillo; three grandchildren, Giovanni Garcia, Darrian Garcia, and Alejandra Hinojosa. Rosary will be held at 6:00 p.m. Wednesday, January 16th at Angel Funeral Home. Memorial services will be held at 10:00 a.m., Thursday, January 17, 2018 at St. Joseph’s Catholic Church, 4122 S Bonham St, Amarillo, TX 79110. Burial will follow in Llano Cemetery.